The caffeine in a morning cup of coffee could help improve athletic endurance, according to a new University of Georgia review study....To research the issue, Higgins reviewed more than 600 scholarly articles and screened them for those that focused only on caffeinated-coffee conditions, measured the caffeine dose and measured an endurance performance. Of these, nine randomized control trials specifically used coffee to improve endurance. "Previous research has focused on caffeine itself as an aid to improve endurance," Higgins said. 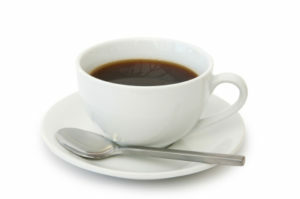 In the nine trials, participants either cycled or ran after drinking coffee. They then exercised vigorously and the results were measured. In a majority of cases, endurance was noticeably improved after the use of coffee.When researching the effects of caffeine from coffee, Higgins found two important discoveries: that caffeine from coffee has ergogenic benefits—that it enhances physical performance—and that more research is needed on the use of caffeine from coffee versus pure caffeine use. Higgins said that coffee shouldn't be dismissed as less beneficial for endurance. He found that coffee appears to be just as helpful as taking caffeine in the form of powder or tablets.... Higgins says that more research is needed before giving official recommendations to athletes, especially since the amount of caffeine in a cup of coffee can vary depending on how it's prepared.